Now you can scoff at thunderstorms and river crossings alike. The FROGMAN is here! 100% Waterproof/Immersion-proof/Dunk-proof/Submersible what have you! 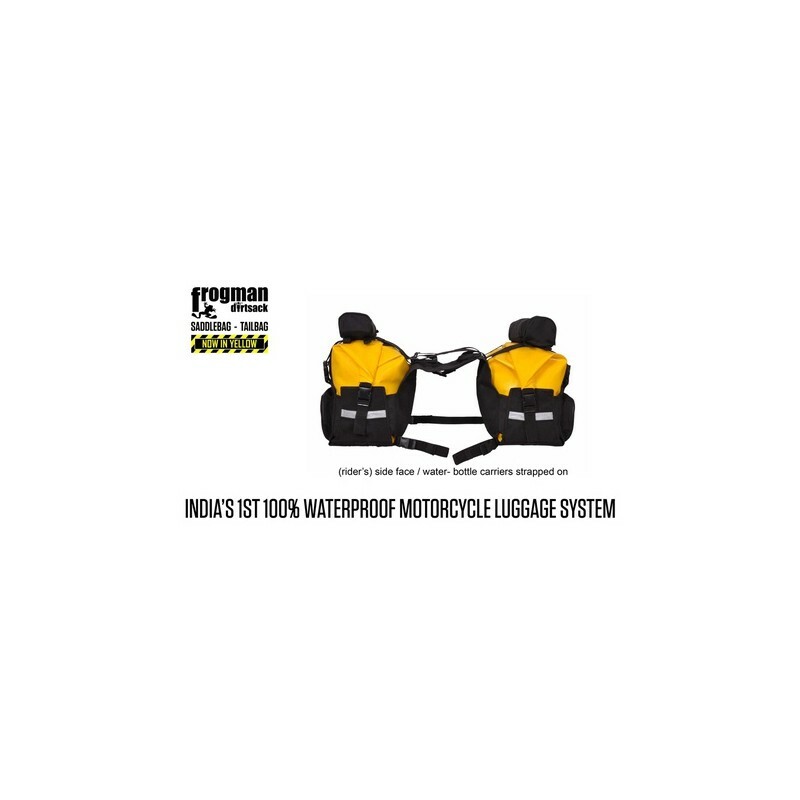 Welded PVC Saddle bags that allow you to plan dry rides and pack without a care for what if the heavens open up? scenarios. Come what may anything inside a Frogman will come out D R Y! that's a promise! 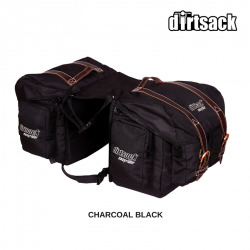 and we've tested and ridden these bags through hell.. to say so! 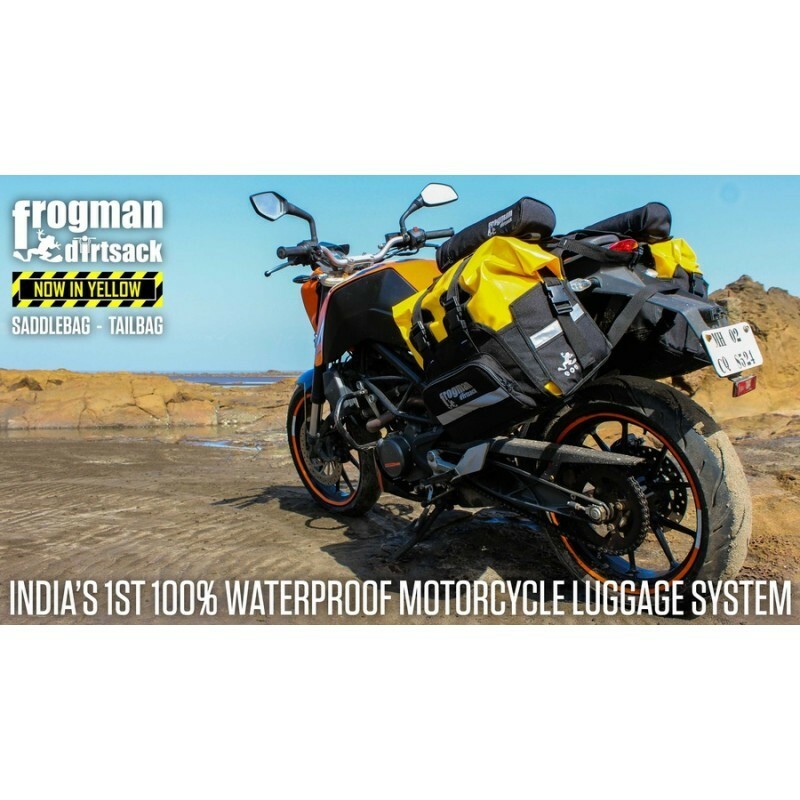 Adjustable link bridge on harness allows flexibility to mount bags on almost all bikes, regardless of pillion width. 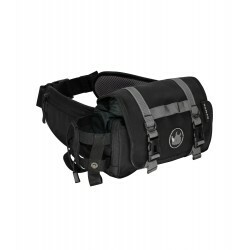 Reinforced with Industrial Velcro and secure webbing. Multiple restraint straps for a '0' displacement fit. Zippered Exterior pocket on each side ? 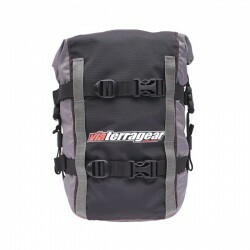 Water Retardant / Not Waterproof to store easy access tools, toilet kit or anything that needs no protection from water. Heavy duty ykk zippers & slides on exterior pocket. 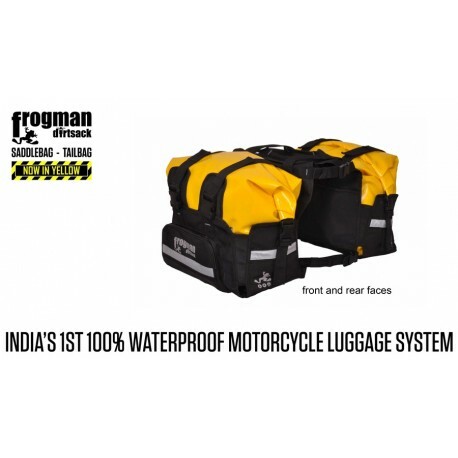 Dry Bag - 40cm wide x 20cm deep x 32cm tall when packed to optimum capacity. 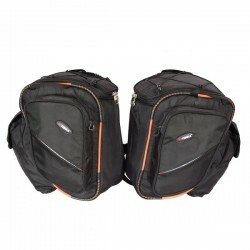 Rolltop design allows an additional 10cm of height if needed. PRODUCT UPDATE : DURING THE LATEST PRODUCTION RUN , THE 100 % WATERPROOF DRYBAGS HAVE BEEN UPGRADED TO SPVC BRIGHT YELLOW COLOR TO IMPROVE VISIBILITY AND STRENGTH. 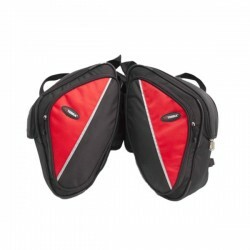 EXTERNAL POCKET HAS BEEN FITTED OUT WITH WATERPROOF ZIPPERS AND SLIDES.